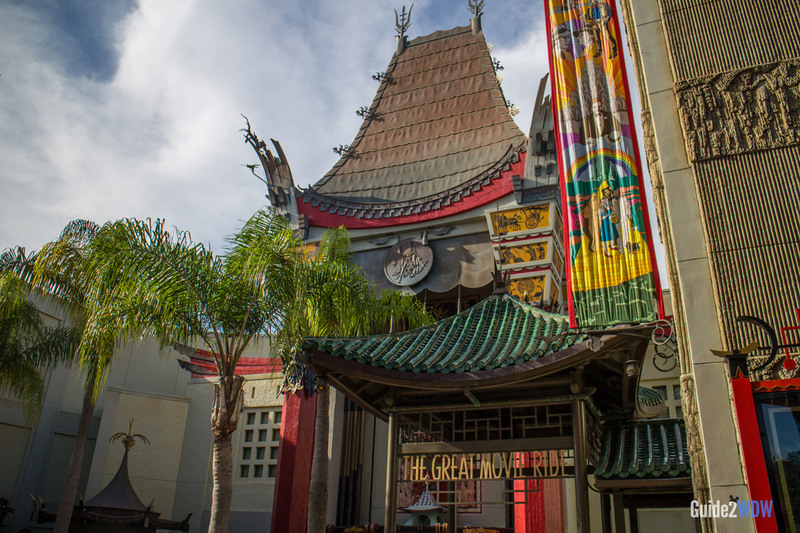 Take a trip through the history of cinema in this delightful Hollywood Studios ride. Out of all of the attractions at Disney’s Hollywood Studios, The Great Movie Ride most lives up to its park’s name and theme. 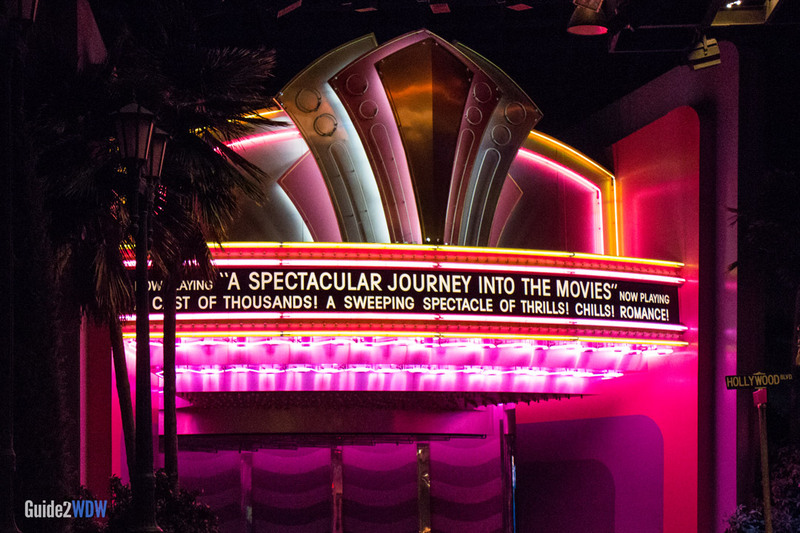 The Great Movie Ride takes guests through the movies. While this ride used to be the icon of Hollywood Studios, it is now somewhat hidden behind the big Sorcerer Mickey hat on Hollywood Boulevard. 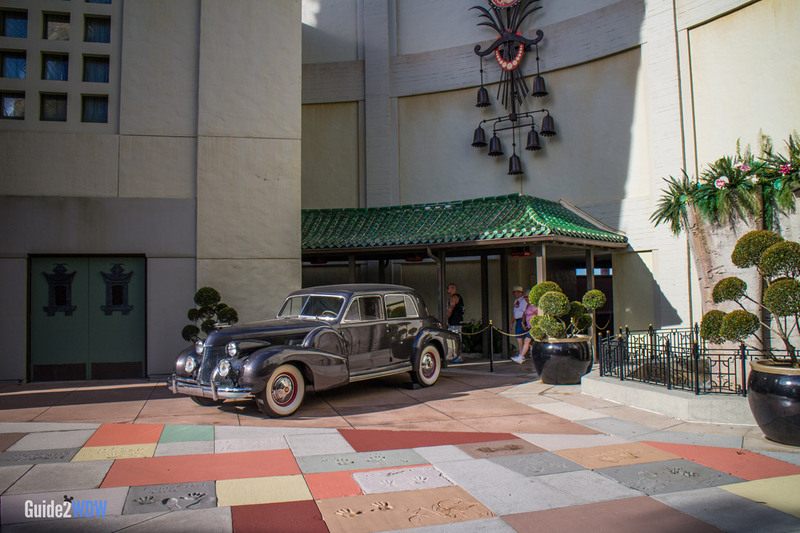 Guests board vehicles which travel through famous movie scenes, from the Yellow Brick Road from The Wizard of Oz to the spaceship from Alien to Humphrey Bogart and Ingrid Bergman in Casablanca. 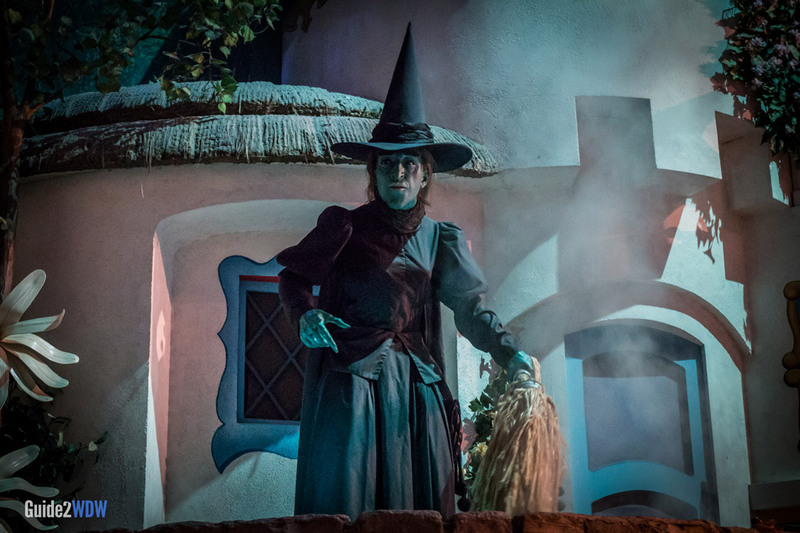 A live tour guide hosts the ride, which is mainly comprised of animatronics. The ride concludes with a video montage of some more great moments in movies. Note: this attraction features a violent live-action sequence. By all accounts, this is mild, but it does feature gunshots and can possibly scare small children. At 22 minutes, The Great Movie Ride is one of the lengthiest rides in Disney’s Hollywood Studios. As all 22 of those minutes are air-conditioned, this makes this attraction a great escape from the Orlando heat! 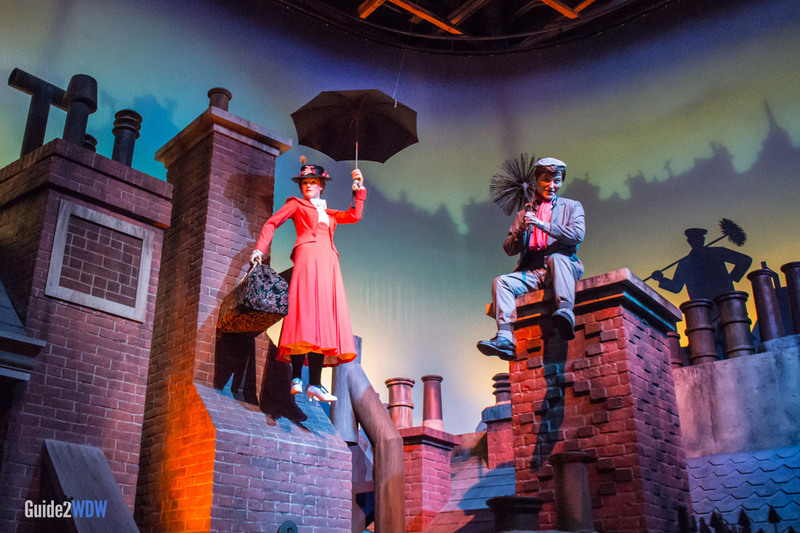 The queue of this ride features some famous movie props, including a Merry-Go-Round horse from Mary Poppins. There are great props and handprints in cement outside of the queue. 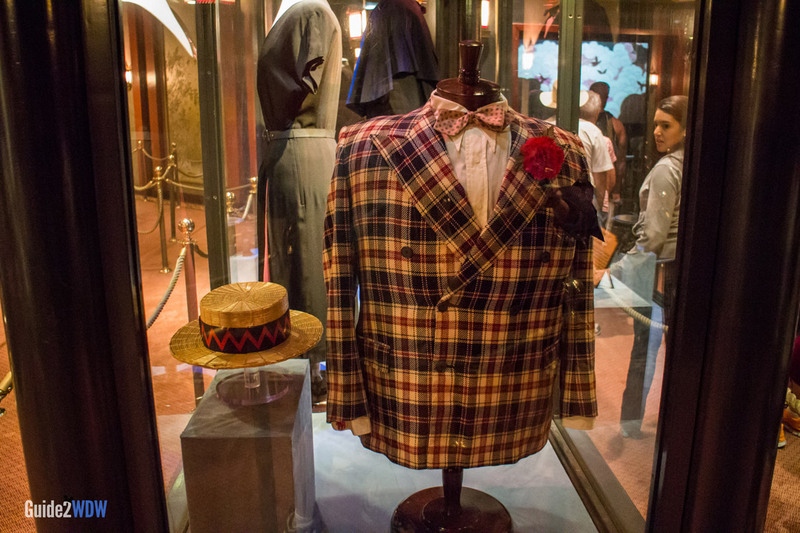 Inside the queue, you’ll find museum-like displays of costumes and props from famous movies, like this costume from Mary Poppins. 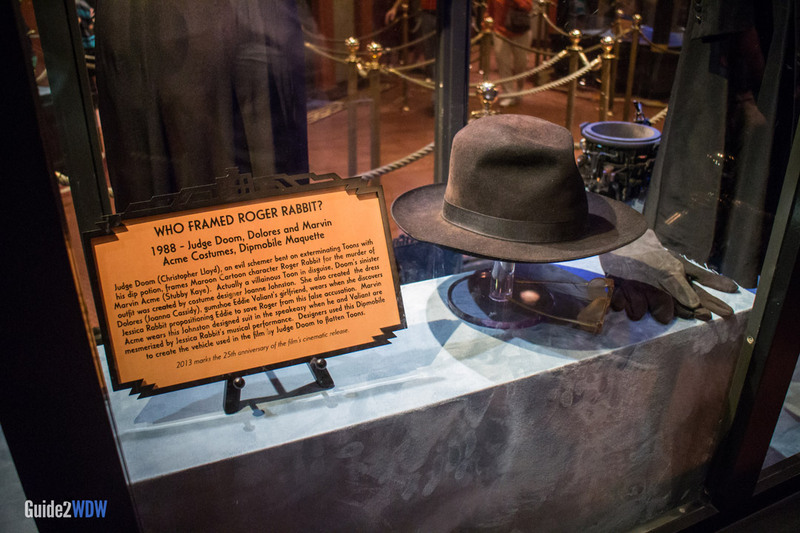 Hat and gloves from Who Framed Roger Rabbit. The ride starts as you journey under a bright marquee. 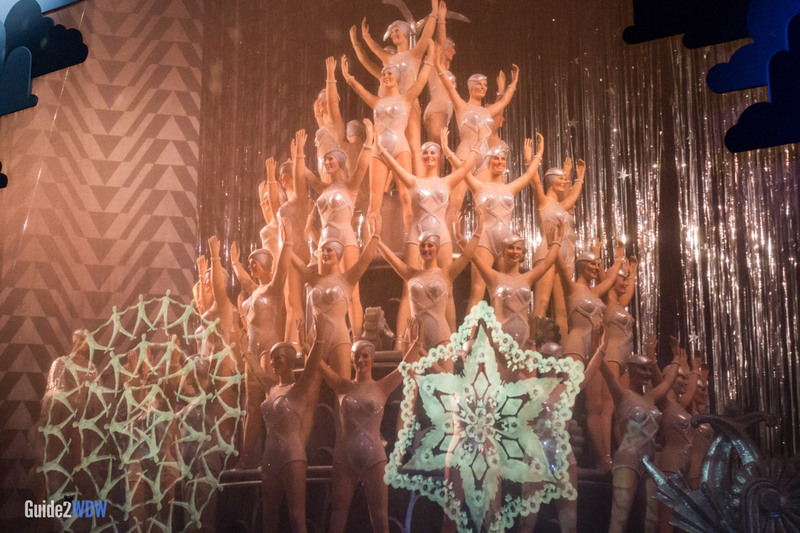 The Great Movie Ride recreates many iconic movie moments. Mary Poppins floats above London.